. : Optics & Photonics Focus :: Anti-aging Treatment for Ancient Books :. Ancient manuscripts offer a fascinating glimpse into the knowledge and technology of times long gone. Alas, these cultural treasures fade over time as a result of the slow oxidation of cellulose. A combination of optical techniques and numerical studies may soon aid in their preservation and restoration. A close look at an ancient paper. The way ancient paper absorbs light gives clues as to its chemical composition, which is key information in choosing the most effective technique to preserve and restore ancient manuscripts. Imagine being able to travel back in time, to connect with our ancestors, to get a feel for the science, the politics and arts of days long gone. Time travelling is not possible — yet, this is exactly what we achieve every time we discover, and study, an ancient document. Unfortunately, the paper these witnesses to history are made of degrades, or deteriorates with time. To preserve and restore these invaluable documents we first need to better understand the exact processes that lead to paper degradation. So far, such studies have relied on the chemical analysis of a small portion of the ancient document — a process which, however, was also responsible for partially destroying the valuable sample. Now, an international team of researchers lead by Mauro Missori, from the Istituto dei Sistemi Complessi near Rome in Italy, has developed an optical technique to help study the decay of ancient manuscripts without destroying them. "Paper sheets are primarily composed of a web of fibers of cellulose," explains Missori. In nature, cellulose molecules — one of the main components in the cell walls of green plants — typically entangle to form sturdy fibers. However, they can also be engineered to produce soft sheets of paper: first, create a suspension of cellulose fibers in water, then pour it through a flat sieve to drain the water, and finally, wait until the randomly oriented leftover cellulose fibers form a mat of interwoven fibers — a sheet of paper. The importance of white paper in human history cannot be overstated. 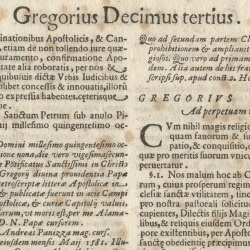 Compared to other techniques for storing and transferring information, (such as parchment or papyrus, for example), paper is easy to produce, cheap, and, perhaps more importantly, extremely durable. The longevity of paper originates from the fact that very few bacteria can digest dry, pure cellulose. The cellulose used in handmade paper production in the middle ages, and which originated from linen, hemp, and cotton rags, was very pure and thus lasted in good conditions. However, paper does age with time, a process that becomes evident in its yellowing. But why does old paper turn yellow? The color is due to a type of chemicals called chromophores, produced in the aging process of cellulose. Such process is mainly due to oxidation, where the molecules of cellulose deteriorate as a result of combining with the oxygen present in the air. Knowing which chromophores are present in old paper is essential in studying its aging process. This can be achieved with chemical analysis of a small portion of the paper, with the obvious disadvantage that this implies: destroying a piece of a historical document. Missori’s team, instead, have studied the aging of paper samples by measuring how the paper’s chromophores reflect light. This technique has the advantage of not destroying any portion of the valuable sample. Essentially, they looked at the color of the paper and from there they reconstructed what chromophores had to be present to produce such color. Their approach is similar to what a painter does to create a specific hue: first the painter needs to choose a number of base colors – say red, green, and blue — as the starting point, and then create the desired hue by mixing and matching colors. Going through this process, one learns the relative proportions of the base colors necessary to create the desired hue. Just like in the case of the painter and the colors, the chromophores reflect specific wavelengths in the spectrum of ultra-violet (UV) to visible light. Missori’s team simulated the reflection produced by various chromophores and combinations of chromophores in order to match the experimental data. For these simulations, the researchers started from very basic laws of physics — or, in scientific parlance, they started ab-initio. "The key advance of this study is the synergy between experiments and ab-initio calculation predicting the theoretical spectra of oxidized groups in cellulose after aging," Missori explains. In particular, "we have demonstrated that ab-initio calculations in combination with non-destructive optical spectroscopy allow for the identification of oxidized groups in cellulose fibres after aging, allowing us to infer the environmental conditions in which ancient samples were stored." The next obvious question is, where are Missori and his team planning to apply this new, non-destructive technique? "We plan to use it on very important pieces of art on paper, to shed light on their history, monitor their state of conservation and suggest the best storage methods," says Missori. "Finally, since oxidation in aging is common to a number of biological systems other than cellulose, our approach could be readily applied in other contexts." A. Mosca Conte, O. Pulci, A. Knapik, J. Bagniuk, R. Del Sole, J. Lojewska & M. Missori, Role of Cellulose Oxidation in the Yellowing of Ancient Paper, Physical Review Letters (2012) 108, 158301 (link).